For the UN climate change summit COP21 in Paris, the EDF Corporate Foundation set up the exhibition Climats artificiels from now until 28 February, 2016. Transsolar and Tetsuo Kondo Architects partnered up to realize their installation Cloudscapes as the focal piece amongst various well-known contemporary artists, showcasing their vision of climate change. All artworks present a poetic perspective on this problematic issue to counterbalance the pessimistic political negotiations ahead of us. Camille Morineau, the exhibition manager, describes “Cloudscapes” as a place for contemplation and reflection, inviting visitors to form their own opinion about climate change. 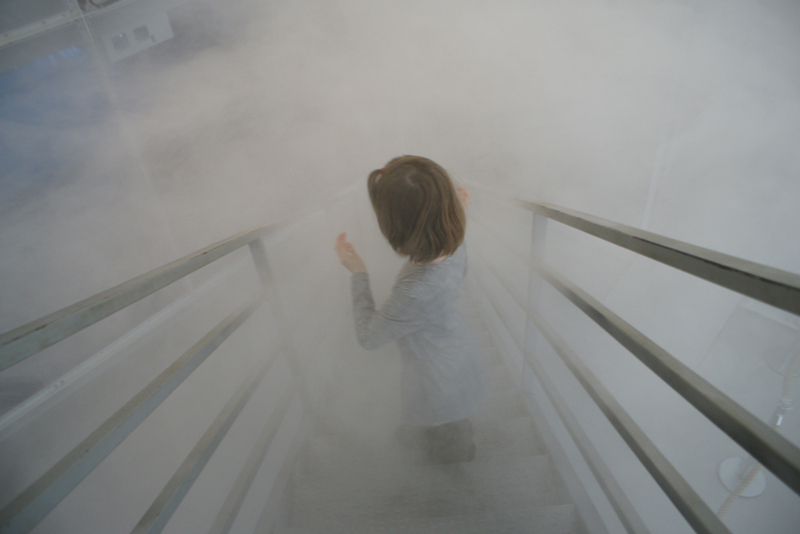 Visitors can experience a journey through and above clouds. While a world capable of recreating clouds and climate is suggested, the difference between the natural and man-made phenomenon is questioned.